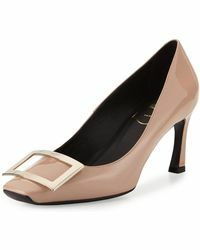 Add an element of sophistication to your wardrobe with these Belle Vivier Trompette pumps from Roger Vivier. 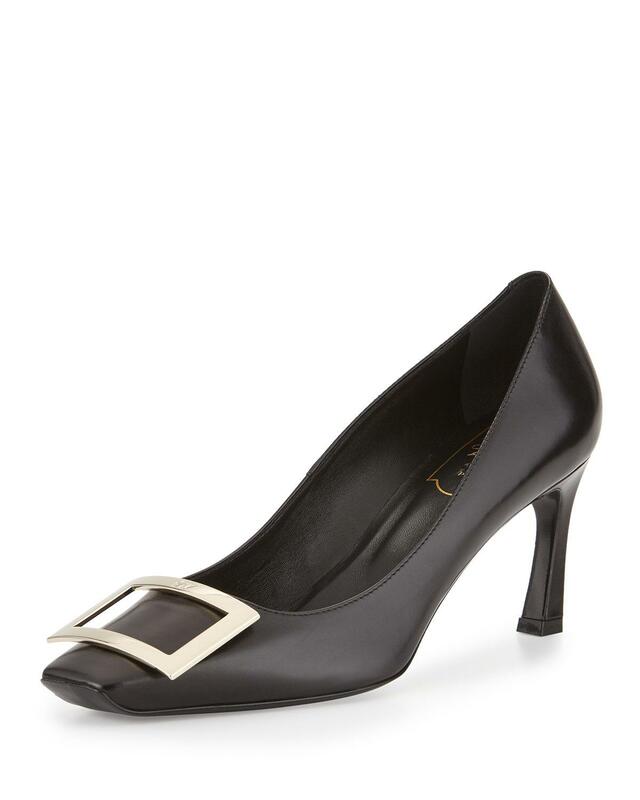 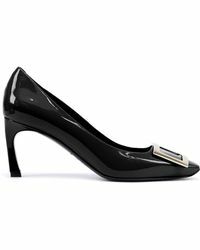 Crafted from black patent leather, this square-toe pair rests on a flared heel, while a silver-toned buckle rests on the vamp. 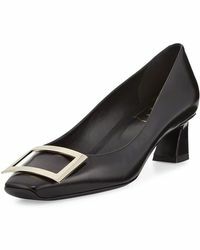 Style yours with work wear looks.